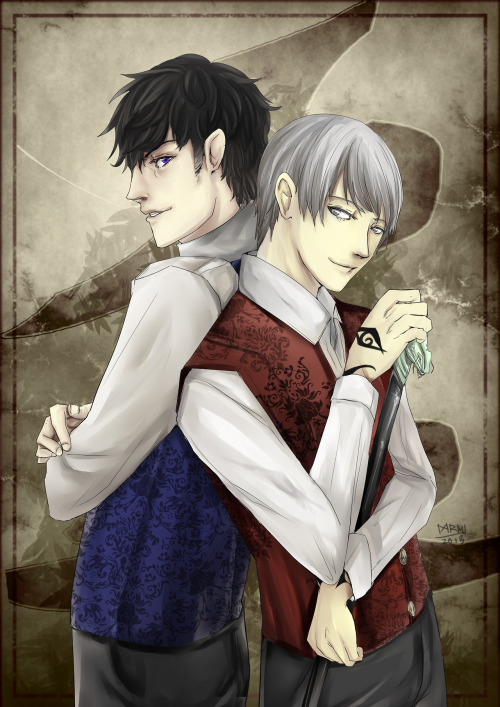 After Cassandra Clare saw some Jem and Will artwork on tumblr, she decided it would be a "HERONSTAIRS DAY." And so, today, we get to read some new dialogue from Will and Jem -also known as Carstadale or Heronstairs! "I love you," Will said. "I love you desperately. I have never felt for another the way I feel for you. My love for you is as eternal as the sea, and like the rocks against which the waves are dashed, again and again, it shall remain unyielding. In you I have found my own heart’s heart, which I had thought previously only to find in dreams. Never could I have encompassed a better partner, a finer friend, a more beauteous companion. Allow me just once to kiss your sweet lips." "Love is a noble emotion!" Will cried, waving his arms about with such energy that the book he was reading slid from his lap. His hair was sticking up like Church’s fur, or a bit as if he had been electrocuted. "Quite," said Jem, and rolled over onto his back, smiling up at Will from his place by the fire. Church twitched and snuffled, curling up against his shoulder. "Now read me something with a fight scene in it, won’t you?" TMICanada is dedicated to The Mortal Instruments, The Infernal Devices, The Dark Artifices, The Bane Chronicles andall things by Cassandra Clare. Welcome to the Shadowhunter FANDOM. We vow to keep you up to date on all Shadowhunter relatednews.